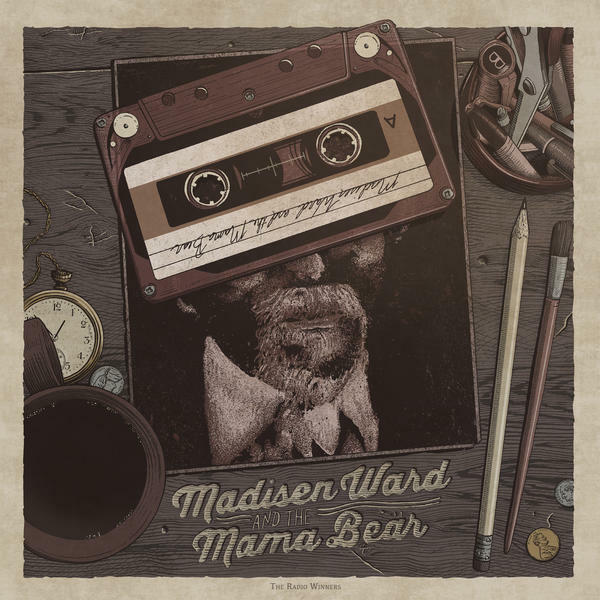 Madisen Ward and The Mama Bear's new EP, The Radio Winners, is out July 27. 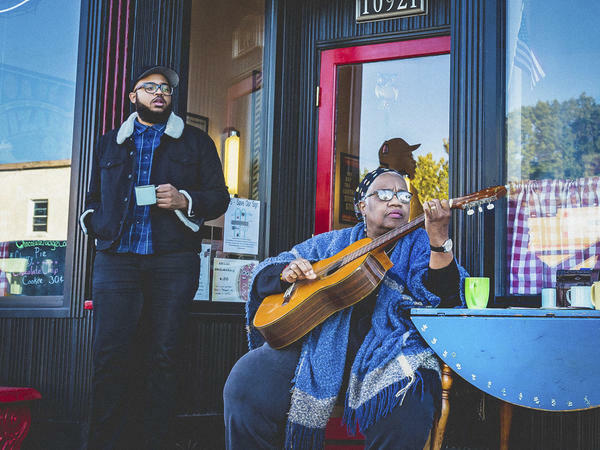 When Madisen Ward And The Mama Bear first came on the scene a few years back, it was only natural that people would fixate on the familial facet of the folk duo's identity — a mother, Ruth Ward, and her son Madisen making music together — particularly with a back story as charming as theirs. As a young coffeehouse folkie, Ruth took tentative steps toward a music career, then decided to treat performing more as a hobby so that she could focus on child rearing. After Madisen, her youngest offspring, began joining her at her local shows, they agreed to try and make a go of it as a duo, and in the process, have made her deferred musical dreams come true. But in focusing on the closeness of the Wards' relationship and the poignancy of their pairing, people can too easily overlook one of the most compelling aspects of their interplay: the ways they weave together modes of expression that might otherwise be in conflict. Madisen Ward and The Mama Bear's 2015 debut album, Skeleton Crew, had a captivatingly quirky, homespun feel, but they've deliberately expanded and updated their palette, and showcased their artistic ambition, on the new EP The Radio Winners. Where they previously kept their co-writing within their intimate circle of two, this time they've welcomed in an array of collaborators, some of them — like Ross Copperman, Heather Morgan and Nathan Chapman — natives of Nashville's Music Row system. Chapman, who was integrally involved in Taylor Swift's early albums, also produced half the tracks; the Lumineers' producer Ryan Hadlock handled the other half. The musical settings are grander and more muscular this time around, with galvanizing grooves, cinematic orchestration and choral-style arrangements. But the new scale of things hardly dwarfs the Wards' dynamic. "Mother Mary," a troubled man's ominous tribute to a woman's salvific power, begins with Madisen delivering the first half of each ascending, minor-key line in a feverish baritone, and Ruth completing the lines in her reedy, awed-sounding upper register. They switch to harmonizing for the second verse, the theatricality of his performance sweetened and lifted by the purity of her tone floating just above it. During the chorus of "Walkin' in the Park," which teases out the tensions between existential dread and the pleasures of companionship, their vocal parts playfully swerve into unison, then split again. But they don't aim for a seamless blend that would erase their idiosyncrasies. The same goes for the unison passages of "Family Treason," a lumbering, dance music-influenced number with a churning, bass-driven groove and cursive strings. 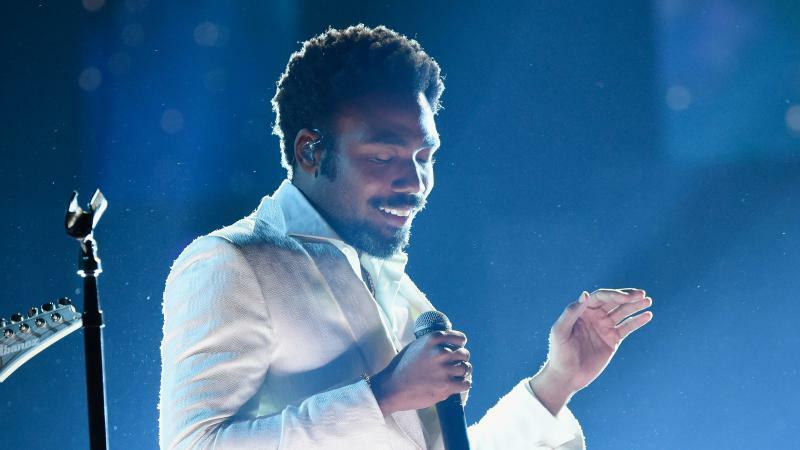 Elsewhere in the song, Madisen takes liberties with his enunciation, contorting syllables into novel shapes, and Ruth takes the lead on pivotal, vulnerable, child-like lines. "Is anybody out there / is anybody missing me?" she cries, her flowing phrasing dissolving into vibrato. 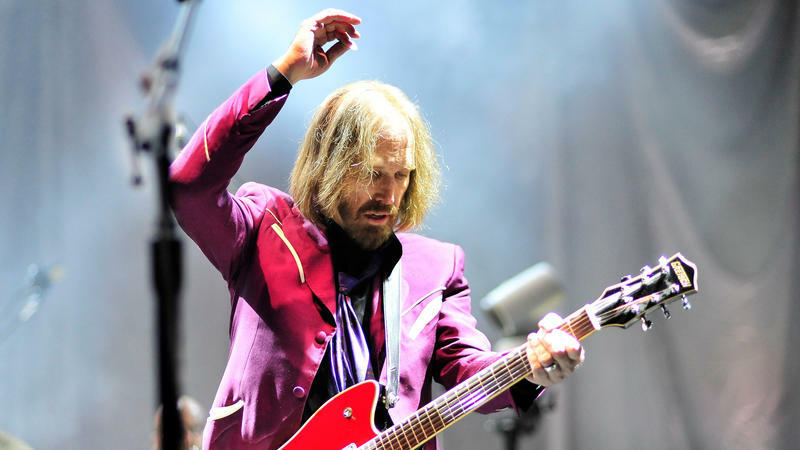 "Everybody's Got Problems" is part uneasy lullaby and part anthemic sing-along. There's a wryness to the lyrics' collective voice. "Everybody's got problems," Madisen sings, flanked by a crowd of voices in solidarity. "Don't ya want mine?" He attacks the short, clipped lines of "Childhood Goodbye" with wild-eyed exaggeration, his glottal timbre urgent, antsy and ravenous by turns: "Summer rain / Go insane / Poetry's a crime." When the chorus arrives, Madisen and Ruth sing side by side, lamenting the fact that people grow out of unselfconscious childhood creativity, but reveling in the nerve they've nurtured together. Engineers of the passing trains blast their whistles at the growing crowd under Colorado Avenue for the undeniable awesomeness that is Blues Under the Bridge. The annual event brings together many elements of our community with local businesses serving up homegrown food and drink. This year, BUTB connected hearts with a deeply historic presence of the Latino community in Colorado Springs with the addition of Los Lobos - perhaps the most respected crossover band in the country.